Jean Pickering was often called the Fairy Godmother of British athletics and served the sport of athletics in so many ways over her lifetime, particularly through her work for the Ron Pickering Memorial Fund. Jean sadly passed away in 2013 and it is in her memory that the fund decided to create the Jean Pickering Olympic Scholarships. This scholarship builds on the success of the Great 12 Olympic Fund, where 21 athletes were selected for support three years ahead of London 2012. An extraordinary total of nine of the 16 age eligible athletes were chosen for the 2012 British Olympic team, with five of these making their event final and one, high jumper Robbie Grabarz, winning a bronze medal. An initial five athletes were similarly supported in their journey towards Rio 2016. The Jean Pickering Olympic Scholarships have been established to support athletes in their progress to Tokyo 2020. The £75,000 fund will be distributed to the 6 selected athletes over a 3 year period leading up to Tokyo 2020. When selecting the recipients it was very important that the award makes a real difference to their development and focused on athletes from less financially strong environments or with a specific need to help them get to the next level. The funds will be used for athlete development and support costs with further support from the RPMF in the form of guidance, advice and mentoring on their individual journeys. The RPMF specifically wishes to thank Lady Victoria Leatham and the Drapers Company for its generous support of the initial project and the establishment of the Jean Pickering Fund without which this would not have been possible. 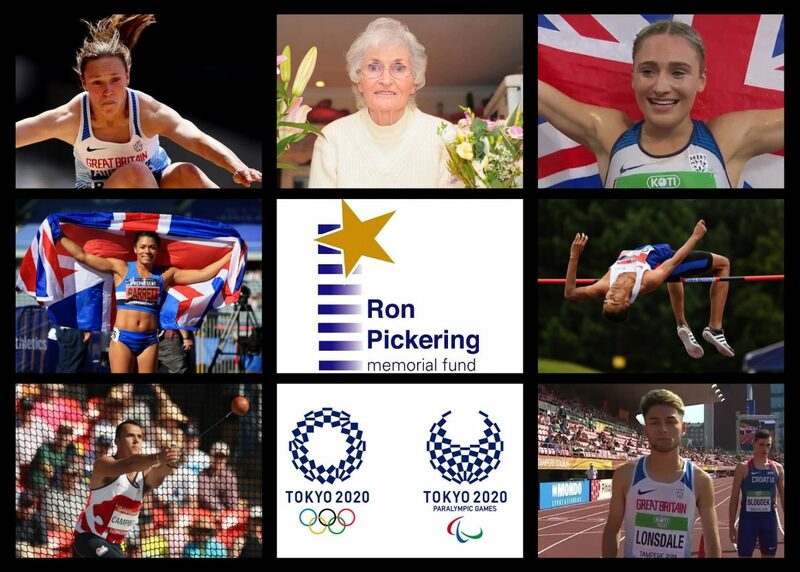 It is hoped that further donors, benefactors and corporates might wish to support future Scholarship schemes and the RPMF as a whole with help sponsoring more athletes on their journey in the name of Jean Pickering. Please contact INFO@RPMF.org.uk in the first instance or go to www.RPMF.org.uk. you helped me achieve my dream”.